This month, the students from our Postgraduate ‘Renaissance Dress’ course took a field trip to Stirling Castle, led by our resident Dress Historian Dr Sally Tuckett and Stirling Castle expert Dr Sally Rush. 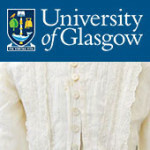 Postgraduate student Laura Oland from the MLitt Dress and Textile Histories programme tells us about her experience. 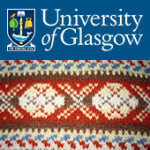 As an international student coming from Canada, I am trying to make the most of living abroad in Scotland while working on my Masters. In saying that, when I am told that we are going on a field trip, I am so ecstatic. The only thing better than travelling to a new place, is travelling to a new place with somebody who knows a lot about the exact location you are visiting. 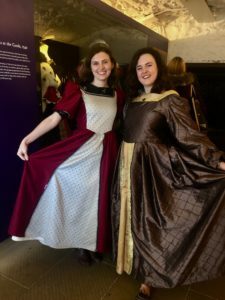 On October 25th, the Renaissance Dress class I am a part of, taught by Dr. Sally Rush and Dr. Sally Tuckett went on an afternoon trip to Stirling to visit the Stirling Castle. Luckily for all of us, Dr. Rush was a part of the restoration project at Stirling so we were able to learn about all the details and decisions that were put in place to create what the Stirling Castle is today. 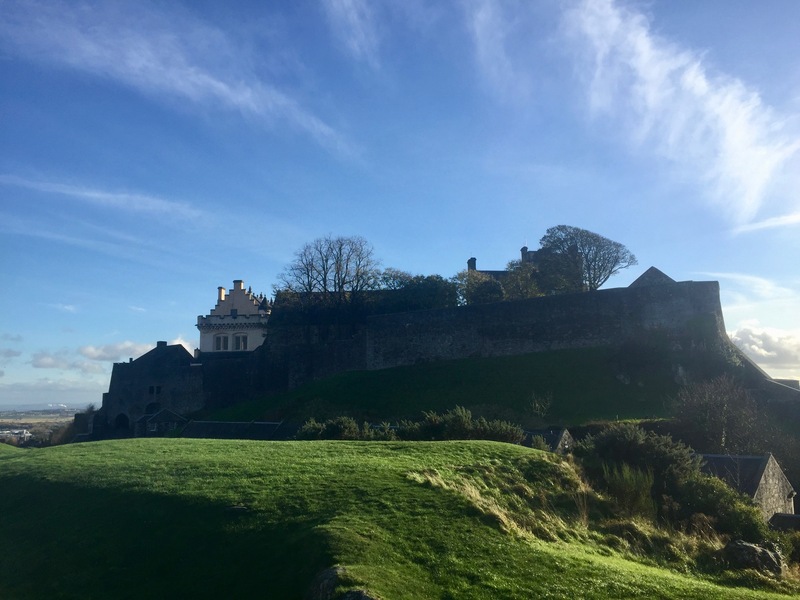 The Castle itself was lived in until the late 17th Century, most notably being a home to James V of Scotland and his wife Mary of Guise, the famous parents of Mary Queen of Scots. In the 18th Century the castle was turned over to the British Army to be used as a military base. 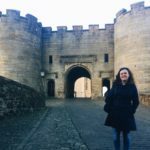 The Great Hall was turned into a barracks for the men to live in, and the sculptures on the side of the castle were turned into shooting targets, eliminating the charm of the Renaissance castle. In 2011 a project was completed, that restored the castle to represent what it might had looked like in the past. 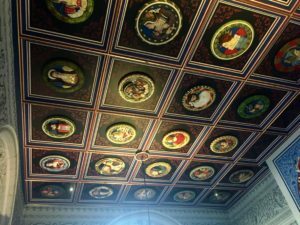 The team who worked on the restoration project looked through inventories to see what furniture, tapestries, and decorative touches might have existed in the castle to try and make the visitors experience in the castle as authentic as possible. As we went through the castle we learned all about the choices the team who worked on the restoration project made to furnish and design the rooms in the castle. The castle is set up as it would have been in the 16th century while Mary of Guise was Regent of Scotland. Throughout the site there are costume interpreters in historic dress to give a more complete experience to the visitors. Personally, the exhibit that I found the most fascinating was the Stirling Heads collection. The Stirling Heads are these wooden carvings that were located on the ceiling in the castle. The carvings are carved on a round piece of oak, each one representing a different person. 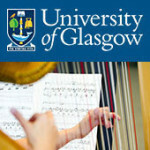 The mystery behind the Stirling Heads, is who is represented in each one. 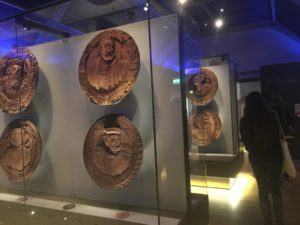 The cravings show a variety of the Royal Family members, Roman Emperors, Greek Heroes, members of the English and Scottish Courts, plus a handful of unidentified faces. The castle has the majority of the heads in their collection, but a few are held in other museum collections, and a few are missing. 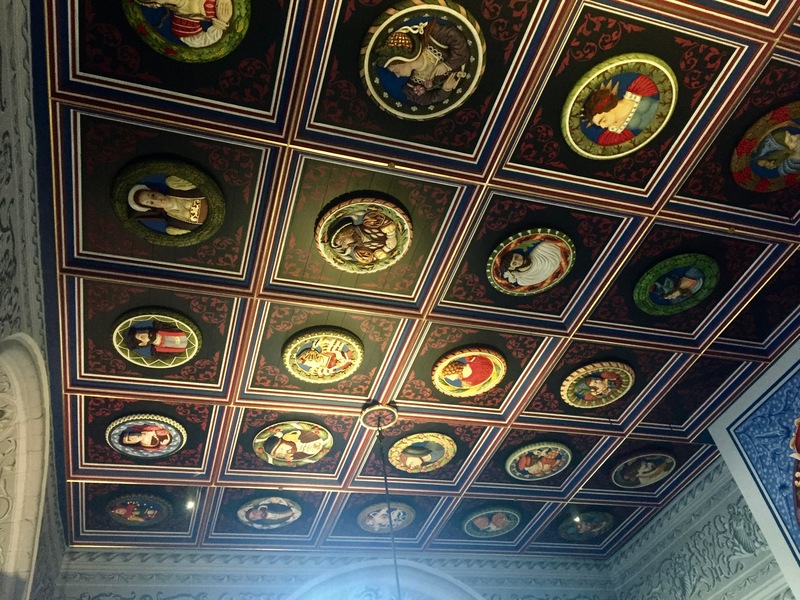 Inside the castle replicas of the Stirling Heads were made and are mounted on the ceiling. Originally they would have been painted similarly to the models that were made. Following the lecture we were able to explore the castle on our own, checking out the Great Hall, the kitchens, chapel, gardens, textile exhibit, and the kids area. I think a few of us were quite excited about the children’s area where we got to play games about clothing, dyes, and different fibres. We also made an attempt to try on the costume gowns that they had for children to try on. We discovered that if you hold the dress at the zipper from behind with one hand it looks like the dress actually fits you! Personally, my favourite part about studying in the U. K. is the chance to experience history first hand, by touching artefacts and visiting actual historical sites. It makes such a difference to be able to see something in person instead of just reading about it in a textbook, or seeing a photograph in a powerpoint. It really makes history come to life.